We millennials have a tendency to look for perfection in all things. This applies to our dream house too. We have so many expectations about how good it is going to look. Sorry to burst the bubble, but there is no such thing as a perfect house. 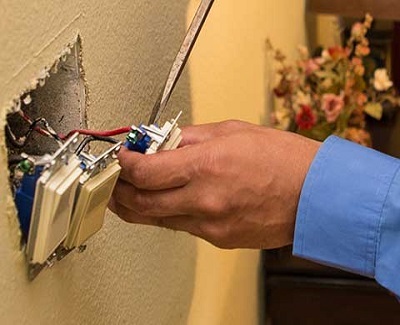 Regardless of what your contractor or landlord says, your house will have some faults. During this inevitable situation, the best thing to do is to get it fixed immediately. Here are some shockers in your moving home process that you might find. This is something that most people find when renting a house. Certain rooms, such as the bathroom and kitchen, which are more exposed to moisture, have a tendency to rot over time. The easiest way to protect a wooden floor or furniture in these environments is to paint them. It is best to use a product that is specially made to reduce the possibility of rotting. 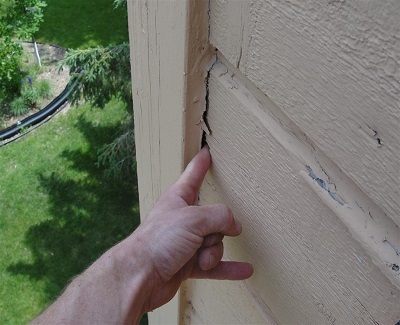 If the house has any outdoor wooden elements such as decks, make sure to check them too. Poor drainage lines in and around the house are the primary reason for water leakage in the basement. This can not only result in the mold but can also damage the foundation of your house if gone unnoticed and untreated. 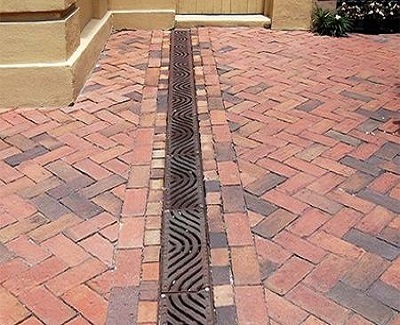 Before moving into the house, get a Phoenix plumber and check whether the drainage area is properly graded. Moreover, you need to ensure that water control elements such as downspouts are well maintained as well. An issue within the electrical system is considered to be highly dangerous since it can result in serious personal injury. Thus, you must check for errors and also ensure that it is not outdated. Although the house might be certified as safe, you must check the wiring to ensure that there are no errors that can influence a fire. 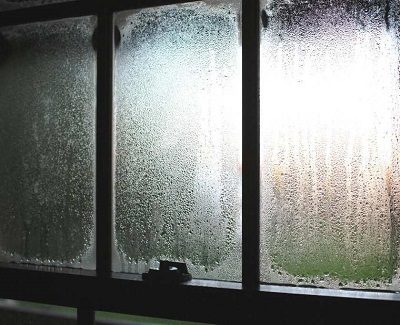 If the house does not have an adequate level of ventilation, it can trap moisture within the house. This can be unsafe for both the residents and the furniture. Ventilation is essential to kick out the heat within your home. This will enable your walls and other structural elements to stay dry. Furthermore, make sure that your ceiling space has good ventilation since it is essential to ensure the longevity of the roof. When purchasing a house, it can be quite difficult to spot an issue on the roof. This is exactly why you must be extra careful. 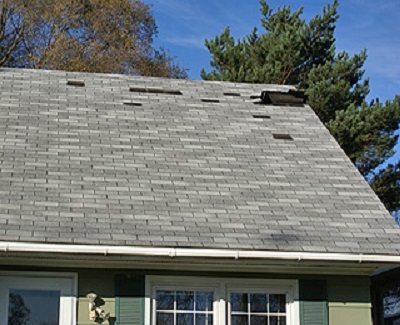 If the roof looks too old, then there is a high likelihood that it might be broken or damaged. In this case, it must be fixed or replaced immediately since it can damage the entire property. Do not ignore it because it looks small since it can cause serious leakage if it rains hard. These are only some of the few problems that you’ll encounter while moving to your new home. You will not necessarily experience all these issues in your new house. However, since they have occurred before – even in the prettiest of houses – it is best to keep your eyes wide open. When the giant moving truck pulls up in front of your house for your moving home day, it looks like it could fit just about anything. 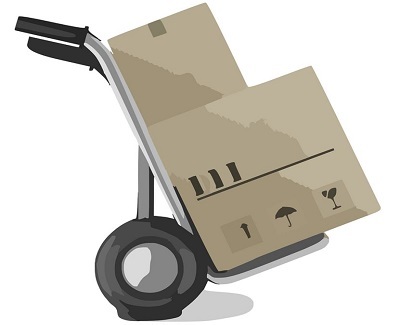 Professional movers and packers can do a lot with the space they have in that truck, but there are a few things that you should never pack on a moving truck. Now, some of these things might seem obvious. If you have a pack of 20 bottle rockets hanging around somewhere, obviously don’t put them in the moving truck because they pose a threat to the rest of your belongings (not to mention the drivers!) But even some common household items and substances should never be placed on a moving truck. Here’s a list of everything you can’t bring, and why. 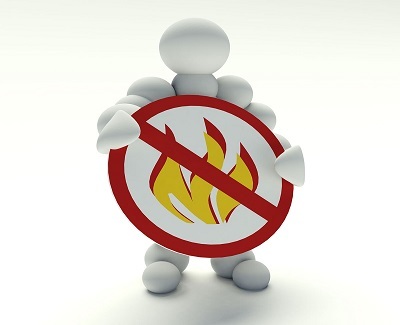 Most people can pick out the obvious flammable substances such as lighter fluid or gasoline (neither of which can go on the moving truck, obviously). But not many people would pause before throwing a bottle of nail polish remover or rubbing alcohol from the medicine cabinet into a box to be packed on the truck – yet both substances are very flammable, and could pose an immediate danger to the drivers of the truck, and to all of your possessions. So be on the lookout for the following, and do not pack them onto the moving truck. Going back to our fireworks example from the introduction, most people know to avoid obvious explosives, but there are quite a few items considered explosive or combustible that could very easily be overlooked when packing. Batteries, for instance, should not be placed on a moving truck, because they could potentially explode. One of the main issues with a moving truck is not only the fact that it is a closed environment with many objects packed tightly together, but also that the truck is traveling long distances over occasionally bumpy roots. Even if you are moving a relatively short distance, it is never advisable that you bring perishable food onto a moving truck. Any type of food spoilage could lead to some extremely unpleasant odors clinging to everything else in that truck. Make a plan to use up all perishable food starting about three weeks out from moving day to avoid the situation. Household cleaning products are also not allowed on moving trucks, due to the potential for dangerous fumes filling up the moving truck. 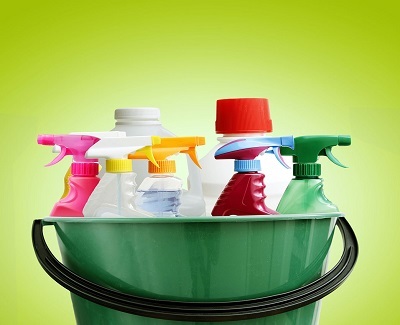 Many cleaners have harsh chemicals which can become very dangerous if inhaled. Most people make a joke here about packing their teenagers onto the moving truck (sorry, no can do! ), But again, the term “living things” applies to more than people. No pets can be transported on a moving truck, whether they are crated, sedated, etc. There are far too many risks. Instead, homeowners are always advised to make any special arrangements they need to transport their pets well in advance of moving day. Living things also include plants. If you need to transport houseplants, you may need to make other arrangements, or clear enough space in your own vehicle to safely get them to your new home. If you ever have questions about whether or not certain items should go on a moving truck, be sure to call your moving company and ask. They will always be happy to explain what can and can’t be packed. Many will also provide helpful lists or guides as well. Moving a house is an arduous job. There are hundreds of things that need to be packed and moved slowly. One of the greatest concerns while moving a house is using the right packaging materials so that things can be transported from one place to the other without any hassle. Moving box (18” x 18” x 20”) – Usually these moving boxes are double walled and greatly suitable for packing general materials. Some of the items, which can be packed in these boxes, include electrical items, household appliances, linen, clothes, crockery, toys etc. Moving box (18” x 13” x 13”) – These boxes are also double walked and are highly suitable for packing fragile items, heavy items, CDs, DVDs, records, appliances and so on. White paper packs – These packing papers are suitable for wrapping ornaments, crockery and different kinds of bottles. All kinds of fragile items can be wrapped with these papers. Cushion the items with paper balls so that direct pressure does not come on the packed materials. Acid-free tissue packs – Acid-free tissue packs are very useful for packing items like silverware and other kinds of jewelry as there are no chances of tarnishing from these products. Apart from jewelry, other delicate items can also be packed with this supply material. Bubble wrap – Bubble wrap is one of the most important house moving supplies needed. There are two kinds of bubble wraps – large bubbles and small bubbles. They come in varying lengths – in 50 meters, 25 meters and 10 meters. The larger sized bubble wraps are highly flexible and take the shape of the product, which is being packed. They are excellent for filling up voids and protecting furniture and pictures. Find good quality cheap bubble wrap at MS Packaging. Black refuse sacks – These are not exactly packing materials but very useful for house moving. These bin liners are useful for duvets and linen. These sacks are useful for storing unwanted items and disposing-off waste. 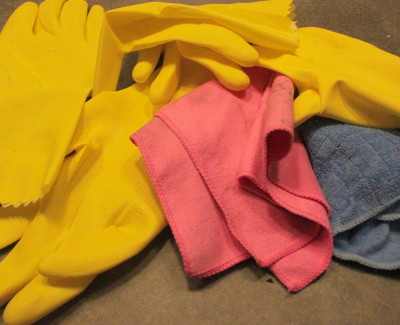 Gloves – White cotton gloves are very useful while shifting things. They not only provide great grip on hands, they also provide adequate protection. Tape dispenser – If the packing requires sealing lots of packing boxes, the tape dispenser gun helps in doing the job fast. Packaging tapes – Wide varieties of packaging tapes are available in the market. While some of the tapes are transparent, some are colored. Brown colored tapes are also used for heavy packaging. The tapes should be of high quality and offer a great trip for fastening the boxes. Marker pen – Marking the boxes might be important for proper sorting and understanding the contents inside the box. Using a marker pen is a safe alternative as the ink does not get washed away. Carpet protector – The transparent vinyl rolls can be used for packing the carpet excellently. These are used on the carpets and leave no damage or residue. Grip seal bags – These bags come in different sizes and can hold various kinds of materials. Important items can be packed safely in these bags. Quality Envelops – While moving a house, you must ensure that all the important papers are stored in a safe manner. Using document enclosed or envelops is recommended where all the papers can be kept safely. Air pillow cushions – These air pillow cushions can help in filling up the gap within each packaged item so that there is no friction and all the items remain safe from breakage during transportation. Corrugated paper – Used after packing with bubble wrap, the corrugated paper provides additional protection to materials while shifting or moving house. Make sure that all these packaging materials are purchased from trusted sources to get the best quality at the most affordable rates. We humans think only about ourselves and other humans, while almost neglecting other living beings, especially plants. Therefore, we don’t think seriously about moving our plants to the new place. We plan to pack and move every lifeless item with great care because they are costly, but we don’t plan to take such extensive care regarding the packing of our plants. However, it’s the plants which need utmost care and planning while moving, as they are living beings, and though they seemingly don’t complain, they too undergo sufferings. Here are a few tips regarding what care you should take while moving plants to your new home. This is important because moving plants is a very skillful job. It needs that the plants are least disturbed during the moving process. This becomes even more important when you would be moving to a long distance. Therefore you should ensure that the removalist you plan to hire has thorough knowledge and experience about moving plants without posing them any harm. If you are making an interstate move, you should check the rules and regulations of your new state about bringing in plants. For example, there are quarantine rules and regulations varying from state to state. You will also have to ensure if there is an approval process required by your new state for bringing in plants and if is required, you should obtain such an approval from a correct department. Your removalist can give you information about these rules and regulations. Even after you get an approval, you will have to decide about which plants to take with you. Australia is a vast country with a number of soil types and climatic conditions. Therefore, you should learn about whether or not your plants will live and thrive in the new environment. If the new climate is not going to suit your plants, you should better leave them in your old place where they are happy and growing well. If your plants are your favorites and you just can’t think of your new home without them, but you have come to know that the new conditions or the moving process won’t suit them, consider taking their cuttings or seeds or even seedlings or saplings with you instead of entire plants. As the young plants have not yet acclimatized to the conditions of your old home, they might survive well in your new home. Cuttings, seeds, seedlings, and saplings are also less likely to undergo the damage caused by moving than bigger plants. Larger plants potted in terracotta pots should be removed from the pots and tied with plastic/hessian to ensure the protection of roots. This also allows safer moving of the pots. Soak your plants adequately with water at least two days before the day of moving to ensure sufficient draining time. If possible, pack smaller plants into boxes which will ensure ease of handling and safety of plants. The best way to keep leaves and branches hydrated is to wrap wet crumpled newspaper around them. This is particularly useful when the temperature is high. With millions of moves that are happening every year, it’s no longer a surprise if some of them aren’t that smoother and faster as you’ve expected. Thus if you’re moving soon, never hesitate to hire a professional mover who can help with your moving needs. Not only that but you have to make sure you’re only hiring the best. Even if there are several companies to choose from, you can still pick the right one if you follow some solid advice. In this article, we’ll provide a run-through of the best tips for choosing a moving company for your move. Let’s find out some of them. Consider some referrals. Before you schedule your official move-in date, it’s important to get a referral from your family, friends, and even your co-workers. You can ask them for some recommendations especially if they have previous moving experiences with a particular mover. By doing it, you’ll certainly get in the right direction in hiring a moving company. Years of experience. Always consider the idea of giving your family the best moving experience. And you can only attain it by hiring a professional moving company that has been serving the industry for several years now. Moreover, an experienced mover is presumed to have a good track record in providing quality moving services. If you’re from New York City, there are many moving companies like Movers NYC which can assist you in whatever services you need. License and insurance. If you don’t have any idea as to how to move to a new home, seeking help from a mover can help. Remember, a licensed moving company has sufficient knowledge and skills that will make your transition as straightforward as possible. When it comes to your personal belongings, you have to select an insured mover. That way, all your stuff will be protected in case an emergency will arise. To know whether your prospective moving company is licensed or not, you can check their status using the government websites. Moving estimates. Once you’ve completed your research, the next thing you should do is to ask all the movers for moving estimates. Find out what should be the appropriate rates for your upcoming move. Also, be sure you receive these quotes in writing so you can be sure they’ll keep up with the costs they’ve quoted for your relocation. In case the price changes along the way, it’s important to require the moving company with a new written estimate before the move-in date. Further, don’t get enticed by some movers who offer a much lower price because the quality is more important than any rates provided. Moving inventory. A reliable moving company will take full responsibility for the inventory of all your personal belongings so they can ensure the weight of your move. The mover, for instance, will walk through your house and check all the stuff you’re about to bring to your new house. Take note, a large portion of the moving price is computed based on the number of items you’ll have to take up in the truck. Right tools and equipment. Before you hire a mover, be sure they have the right tools and equipment that can handle your move. Whether it’s a local or international move, it’s always important to entrust your belongings to some professionals in the industry. With the appropriate tools and equipment, you can have peace of mind knowing that all your stuff is secured before, during and after the move. Practically speaking, there’s no easy way to choose a reputable mover for your move. The whole process can be quite challenging especially if you don’t know what to look forward to a moving company. But, with the tips presented in this article, we hope you can choose the right one with ease and confidence – the best moving company that can assist you from beginning to end. From packing to the unloading of boxes, a certified moving company will always be available to help. So, if you’re planning to move to a new house a few months from now, start calling some moving companies and make sure to hire one before the big day. As any mover will know, there are loads to factor in when you move house. For most of us, moving is stressful. Luckily for us, the infographic below from Jarrimber details everything we need to know about moving. It includes everything from unpacking tips to settling into your new space. Managing everything can be hard – from timing to security, delegating to storage. For this reason, it can be helpful to split the move into four separate sections: preparation, packing, managing your inventory and moving in. 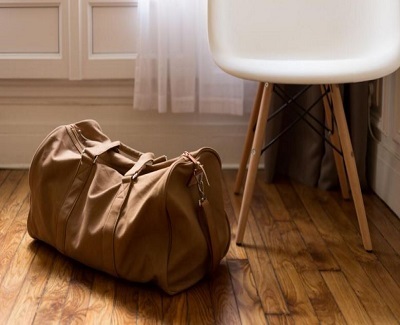 Planning ahead and giving yourself lots of time to pack all of your belongings before you move into your new home will allow you to stay organized. As the infographic below outlines, separating essential items from non-essential items is crucial as it is not realistic to have everything packed away weeks before you move. Keeping a detailed list of what you have packed into every box will make unpacking far less overwhelming. There are many moving options available to you when it comes to physically move your belongings from your current house to your new abode. Additionally, timing your move can also be problematic. How long will it take to move everything? Would it be more beneficial to stagger your move? Should I hire a professional mover? For all of this and more, let’s check out the infographic below! Children are very sensitive and can be troublesome when it comes to moving home. Particularly when they are very young, they may feel as though they are losing their whole world. This is why it is so important for parents to get them more involved in the process of moving house. It will help them to feel that they are more in control and that their voice is being heard. This will cut down on tantrums overall – and here’s how you can do it. Of course, you aren’t going to let your children decide where you live, or spend lots of money. But you can involve them in some key decisions with fit three main criteria. They should be very important to the child, not very important to you, and not so big in the scheme of things. For example, the child can pick out a new rug for their room, or decide on which direction their bed should face. They can also pick out décor items for the walls, particularly if you pre-approve a selection first. Before you move to your new home, it is likely that you will be viewing it, perhaps multiple times. Once you have made the decision, make sure to bring your child along with you for at least one viewing. Show them the new bedroom and start talking about where their favorite toys will go. Not only do they feel more involved in the process this way, but it also helps them to understand that nothing is going to change too much. Young children may believe that they have to leave everything behind, including their toys! During your house visit, take some time to walk or drive around the neighborhood. Try to find similar places to the ones that your child loves at your current home. If they like going to the park and feeding the ducks, show them the park nearest to your new house. If they like ice cream, find an ice cream shop. Showing them that there are fun things to do near the new house will help them to feel more excited about going there, and less sad about leaving. Of course, you aren’t going to be letting your child move furniture around! But they can still be involved in the actual moving process. Help them to pack their favorite toys – or better yet, give them a box and leave them to it, so they feel like they are really taking responsibility. This helps them come to terms with the fact that you are going, as well as showing them that Mr Cuddles really is coming along for the ride. Giving them something to do can also stop them from getting fretful on the big day itself. Plus, it’s always nice to have a box or two taken care of while you sort out the rest of the house. 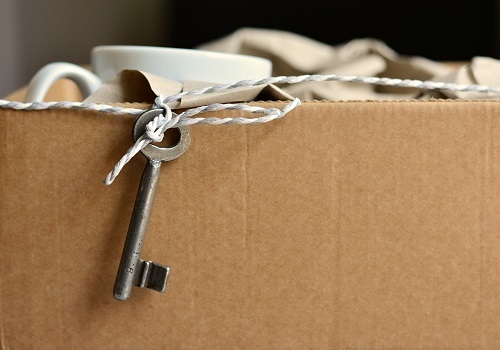 When you move, you often want to throw away old items to make room for a fresh start. But don’t just throw things away without talking to your child. Get them to help decide. Of course, they will want to keep almost everything, but you can at least give them the power to throw some things away and keep others. 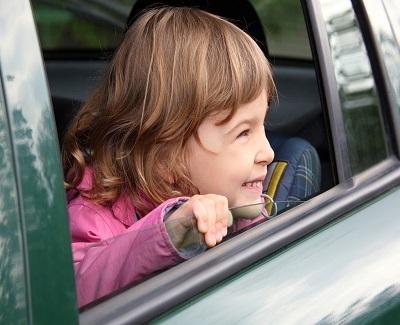 The more you involve your kids in the move, the happier and more enthused about it they will be. These key strategies will make your moving home process smoother for everyone. Moving in into a new place is never an easy task. There are always things to be done and details on which you need to pay attention but nevertheless, it is often something that simply must be done. 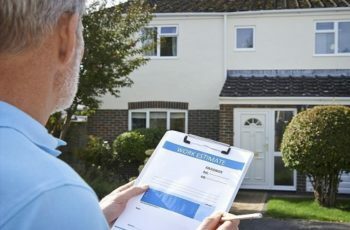 Of course, before moving in, you always need to conduct a thorough sweep of the premises and investigate the general state of the home but here, cleanness is often not as important as the location of the place, the cost of rent and some other things. Still, for you to be able to move into a place, it needs to rise up to your own cleanness standards. It is true that any decent person will thoroughly clean the place where they lived before moving out; however, this is not always the case. Sometimes, people are reckless or just move away in rush with little or no regard for the future tenant or their landlord. If this is the case with the home that you intend to move into, you will have to do some pre-moving-in-cleaning of your own. Here are some tips and advice on how to do this as easily and effectively as possible. Although when cleaning is in question there are some general areas on which you need to pay attention to, it is always a great idea to create a thorough and sound-proof plan for cleaning your future home. Create a cleaning checklist to cover every single aspect of your future home that needs to be cleaned. This way you will also be able to approximately estimate how much time will it take for you to clean the entire home as well as how much time will it take for you to perform some individual cleaning task. While it is a self-explanatory notion of why you need to keep your home clean at all times, there is one area of your living space that deserves most of your attention. This part is your kitchen and it is of key significance to keep it clean since it is where you prepare food for yourself and your family, which means that hygiene in your kitchen, is of top priority. 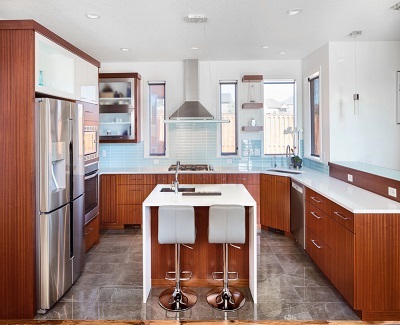 In a recent chat with the people from Sydney-based house cleaning firm Pristine Homes, it came to our attention that you need to pay an almost equal amount of attention to scrubbing the surfaces in your kitchen as all the rest of your home combined. Pay attention to keeping your cabinets and appliances clean, since they take quite a prominent position in your home. Luckily for you, it is not so hard to keep your cabinets clean. Use a mild cleaner for inside your cabinets and a wood cleaner for the outside and you should have no trouble whatsoever. For the appliances, on the other hand, you will have to use a heavy-duty cleaner, like paste or wax. In the end, clean the large surfaces in your homes such as walls and floor. 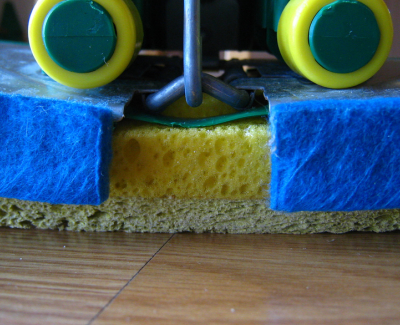 Cleaning your floor depends greatly on whether you have carpets or not. 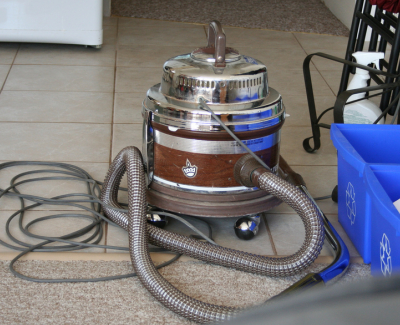 If there is a carpet in question use your vacuum cleaner as often as possible and on the occasion call the professional. However, if the wooden floor is in question, resort to the mild soap solution to keep it clean. When it comes to cleaning your walls, it all depends on your predecessors. If they were kind enough to have painted your walls there will not be much for you to do. Still, if you’re not that lucky, paint them yourself or, if there are stains in question, use a sponge mop and soapy water in order to clean them. Although this can seem like a lot of effort at the very beginning of your new life in your new home, sometimes, it is an effort that you simply cannot afford not to take. Keeping your home clean is not just about making it presentable for other people but also about caring about the health and wellbeing of your family in general. With all this in mind, it is an effort that you simply cannot afford not to take. Are you moving home? Let us know if you used these lists in the comments below!